The model GDI-100-D precision digital gas density indicator adopts the concept of an analogue SF6 gas density indicator, but operates, however, at such a high level that only digital sensor technology can cope with. The accuracy of digital measurement technology and the simplicity of an analogue gauge are brought together in the GDI-100-D, which in terms of performance, ease-of-use, and instrument features, is unmatched in SF6 gas density measurement. SF6 gas-filled switchgear must be monitored, following maintenance and new installation, for a specified time, in order to eliminate any leakage or defective maintenance. The GDI-100-D enables this temporary monitoring and records the parameters gas density, pressure and temperature. 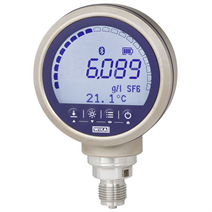 The GDI-100-D is fitted with the high-precision sensor technology from the model CPG-1500 precision digital pressure gauge and determines the SF6 gas density with an accuracy of 0.6 %. It is calculated from the parameters of pressure and temperature via a complex virial equation in the internal evaluation electronics. Pressure changes resulting from thermal effects will be compensated by this and will not affect the display value of the gas density. 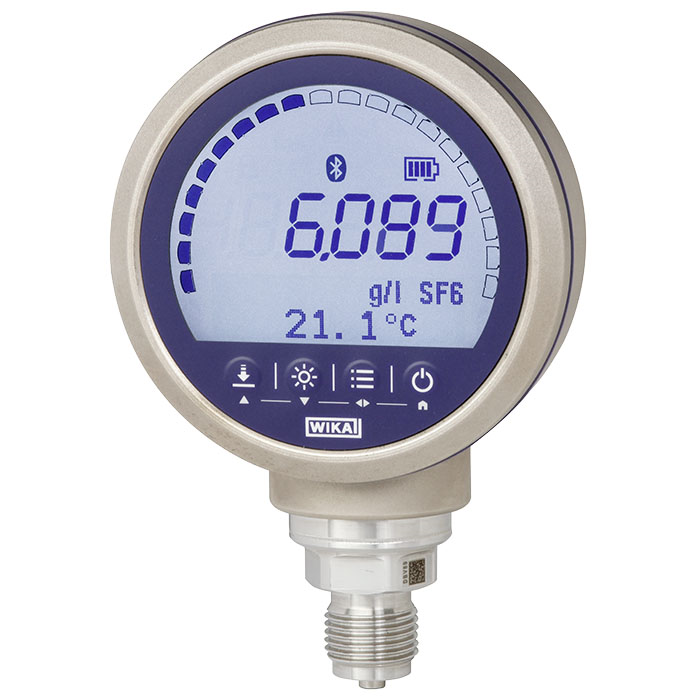 Pressure and gas density can be referenced to 20 °C through the temperature compensation. Furthermore, alongside the SF6 functions, the full scope of functions of a CPG1500 are available. Through the new and innovative menu navigation, simple operation is ensured. The clear display, with integral bar graph display and large text area, assists with the effective analysis of the widest variety of measuring points.